With many PlayStation 4 games being 30+ GB and with those awesome flash sales, the standard 500GB hard drive gets filled up pretty quickly. Luckily, Sony did a beautiful job in making the PlayStation 4 hard drive easy to upgrade (and, according to their TOS, it doesn't even void the warranty). 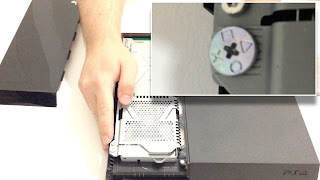 This step by step video tutorial will guide you through the complete process of upgrading the Hard Disk on your PlayStation 4.